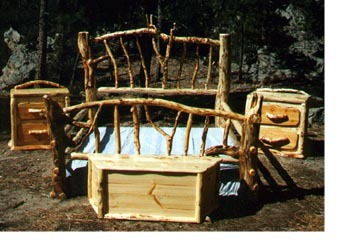 King sized log bed with nightstands, dresser with mirror, chest of drawers, blanket chest, and under the bed dresser. This set was built for a custom order. 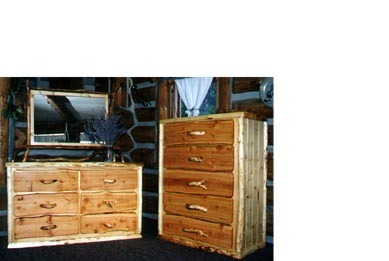 Please call or email for prices and dimensions of a beautiful set such as this one.